​Goal: To find ways to better manage blue carbon ecosystems (seagrasses, saltmarshes, mangroves, wetlands) to maximise opportunities for carbon capture and storage. 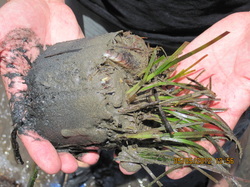 ​Goal: To investigate factors that mediate resilience in seagrasses, including: genetic diversity, plant demography, sediment chemistry, and microbes. 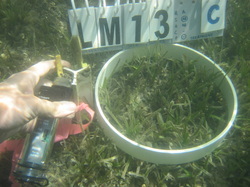 The research is designed to generate practical information that will improve management of declining seagrass populations. ​Goal: To evaluate environmental costs and benefits of converting obsolete oil and gas structures into artificial reefs. ​Goal: This project seeks to determine the contribution of microbes to breakdown and production of carbon within coastal ecosystems.